Shinkyu Shotokan, organizers of the beach training scheduled for Santa Cruz this Sunday, July 13th, have announced that unfortunately the event will have to be cancelled. The organizers extend an apology as this has been a tradition for 14 years, but there were various complicating factors that conspired to force the cancellation this evening. This annual event is hosted by the Shinkyu Shotokan group and is fun for the whole family. Please see the Shinkyu Shotokan website for more details. Keeling Sensei has once again been asked to be one of the featured instructors at this year’s WTKO international summer camp. See more details on the WTKO website. We had eleven kids enter a tournament this past Sunday. Eleven of them won medals and/or trophies (one of them is not in the photo). Great job, kids! Area Shotokan black belts are invited to participate in our special Instructors’ Classes. Next session is Feb 8 (Saturday), 8:30-11:00 am at SVSK dojo in Redwood City. We focus on becoming better instructors; not simply training harder or learning more complex kata (which we may also do…). 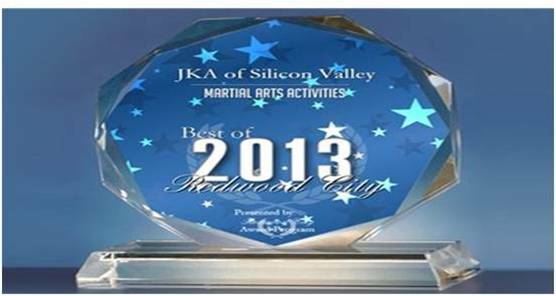 We will have our annual “Shotokan Kata Review” in our Redwood City dojo on Saturday, January 11, 8-10 am. In this two hours, we will do at least 27 kata, twice each. Everyone who knows at least a few Shotokan kata is welcome to attend. Just $10 fee for non-members!